Build custom applications on the cloud! 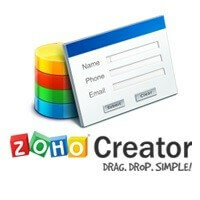 Zoho Creator's drag-and-drop interface enables you to create custom business applications. It has pre-built integrations with other Zoho products. It also offers you the flexibility to create custom integrations with numerous third-party vendors like Twilio, PayPal, Zapier, and many more.